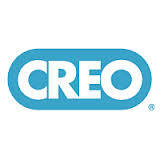 Name: CREO IT Pvt. Ltd. Build modern & cool apps for iOS devices. Immediately train and work on challenging projects. Be involved in project based development. Contribute to the company – actually putting your engineering skills to use. 2012 Batch BE/BTech from CS/IT/IS background.